Mortgage rates have risen since the election of Donald Trump, from 3.5% to the recent 4.2%. This has caused some buyers to wonder if they should watch and wait until the interest rates to go down. 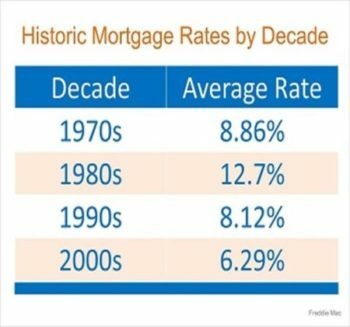 However, we must realize that the current rates are still at historic lows. Please see a chart below showing the average mortgage interest rate over the last several decades. Yun wrote, “the bonus period is over and will not likely return.” The real estate market is returning to “normal” and most experts predict that home prices are to rise further. Housing Shortage – Until When?